Are you feeling lonely? Like you want to find other people who share your passions and interests, but don’t know where they are? Maybe you have gone on LinkedIn and searched for groups like “[your city] aerospace.” You have tried that, haven’t you? Tip #3 in How To Be a Rocket Scientist is Associate with People in the Field. If you want a career in the aerospace or aviation fields, that will involve associating with others there too! So why not start that process now? There’s nothing stopping you. In fact, this is a proven shortcut or “hack” to give your aerospace career a boost from where you are today. In my book, I have some stories about how I did this. And I give many examples and ideas for how you can do it too. What if you still can’t seem to find any groups or organizations with your interests? The average person will give up and say, “Oh well, I guess I’m stuck again.” Poor me… so lonely. But a successful rocket scientist (or person in any field) will take a different approach. This is an OPPORTUNITY to develop your INITIATIVE and LEADERSHIP. Trevor is a guy in my town of Folsom, California. He loves drones. His day job is with a state government agency. He wanted to have a group of friends and colleagues to fly drones with, learn and talk about them, and generally have a fun time together. 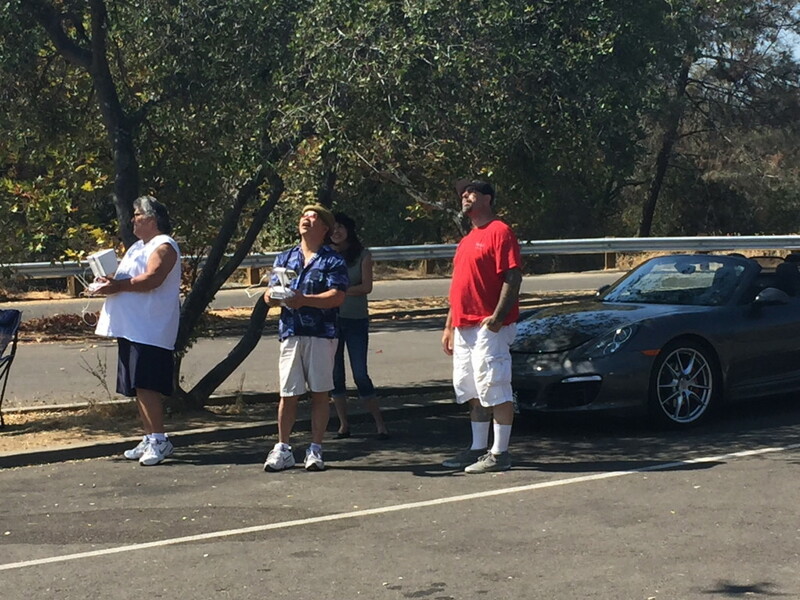 There was a Meetup group for Sacramento drone users, but that group didn’t seem to be very active. Plus, Sacramento is a large metro area. He wanted something more convenient. 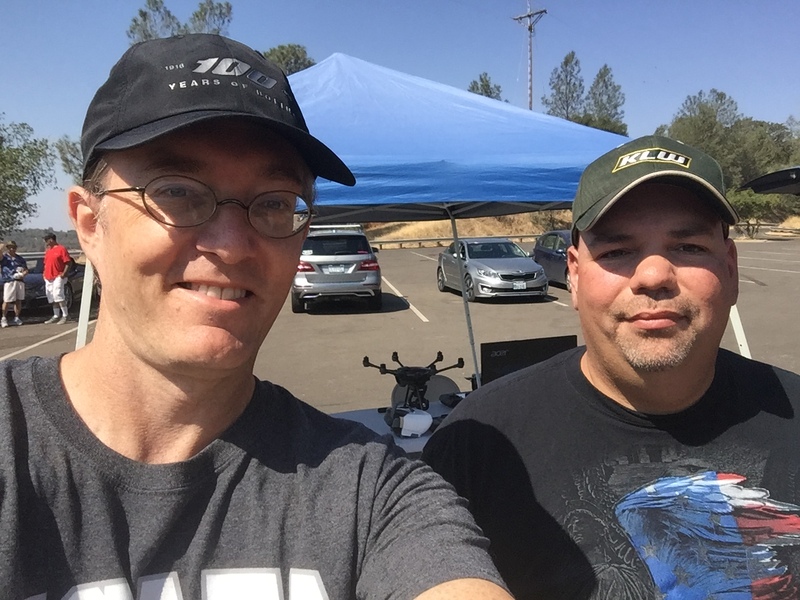 So he created a Meetup group just for drone users in Folsom. What is better than being someone who can associate with others in the field? Being the person who others in the field want to associate themselves with. That makes you a leader. The sad truth is that when most people see a lack of association as a time for loneliness, it is really an opportunity for someone to step up and create that community as a leader. I saw an announcement for this Folsom drone user meetup group on a weekend, so I made a short drive out to the site for it. Trevor was busy helping someone get their drone prepped for a flight. Here I am with Steve, someone else who was there to fly his drone. There was a nice setup with some tables and a tent shade, as you can see. And a good turnout of about 12-15 people during the afternoon. This was the very first event for this Meetup group! Apparently, Trevor hit on a popular need. Maybe that’s all it takes for you too. Now, it could be that this result is unusual because it has to do with drones. You shouldn’t expect that your first attempt to create an association of like-minded and similarly interested people is going to be spectacular right out of the gate. Unless you are doing something around drones… in which case things are pretty hot right now. 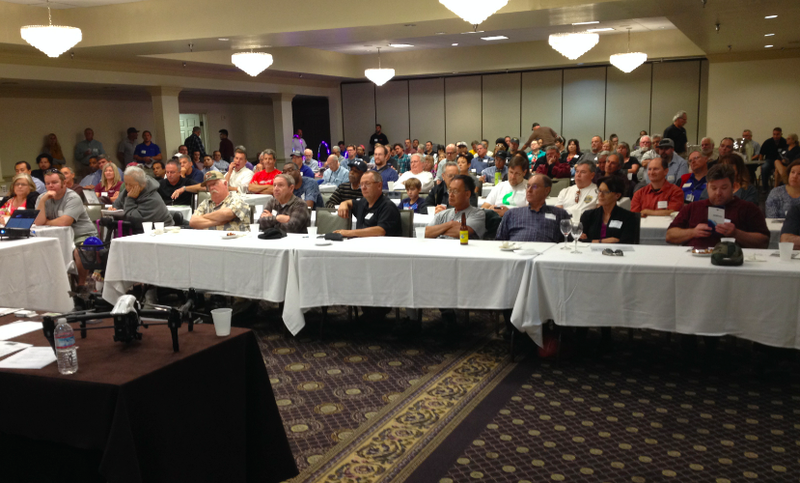 Another case in point, for the last 6 weeks I worked with 3 other people to organize a regional event on drones for Sacramento. We called it a Drone Swarm. Pretty cool, eh?! That was a fun experience! The responses from people at the event was overwhelmingly positive too. 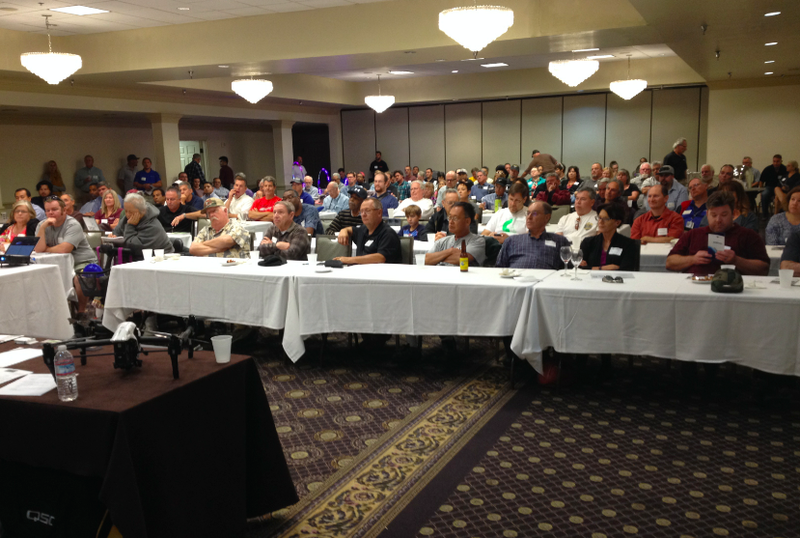 The networking, drone exhibits, expert presentations, and micro-sized drone racing made it an evening with an energy density that matched the LiPo battery packs! People who are passionate about a certain topic can usually be counted on to have a sincere interest in helping others succeed with a common mission. So if you are passionate about rocket science, find others who are passionate like you.